The Raya do not share a mutually intelligible language, as they speak Tigrigna, Amharic, Agawigna, Afarigna, and, only a few now, Oromiffa. A survey of its history since 16th century reveals Raya is a label for a diverse group of people that formed a collective identity of sorts due to intermingling and intermarriage. Citing Manuel Barradas, who travelled through Enderta, Merid reports that by 1625 the Oromo threat had subsided. When four years later Takla became a rebel, Oromo clans from Azabo and Doba supported him. It should be noted here that a clan of the Oromo, be it the Raya or Marawa, has already settled in the area that we now call Raya-Azebo. Jan. 17, Is Tigray really a drop in the bucket for Abiy’s administration? Alemayehu has taught constitutional law and political theory at U.S. and Ethiopian universities. He served as a National Peace Advisor to the Ministry of Federal Affairs from 2010-11. *The Rayan student you mentioned in your article is not committee member of Raya-Amhara, he is rather that of Rayan- ldentity and Self Adminstratiion Committee. * Regarding the position of the committee, it was not just like you put it as a fallacious logic. The committee has a firm stand on the Raya identity issue. Rayan people has got its own distnict ethnic identity not just Amhara or Oromo. Actually, it is a combination (mixed) of different ethnic identities and speaks the commonly known as Rayan-Tigrigna (Rayigna), Amharic, and to some extent Oromiffa and Agew. And, there is no such assertion as ‘Raya is Wollo”, and thus Amhara”. You may be misled by the recently formed Raya-Amhara group. Actually, the issue of Wollo is raised when the committee was discussing administrative issues. The point is, after Raya successfully granted with its distnict Rayan identity, taking into consideration the current federal system ( and regional states), with which region the Rayan self-administration (special zone) better be administered? 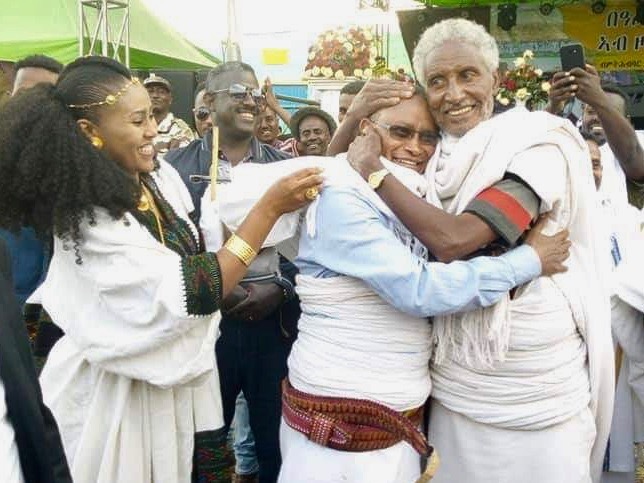 The point of arguement on which the committee finally reached consensus was like, “the rayan people has a strong pychological and cultural attachment with that of the Wollo people”. “And, with regards to regional state, Amhara region is more accomodative than the other as it granted self-administration to many identities such as Oromo, Argoba, Agew, and recently the Quimant peoples. Therefore, it would be convienent to put our position paper to be administered with Amhara region. How ever, the ultimate choice should be left to the people of Raya.” That is it! *Also you know that ethnic identity of a society is not based on past administrative history. 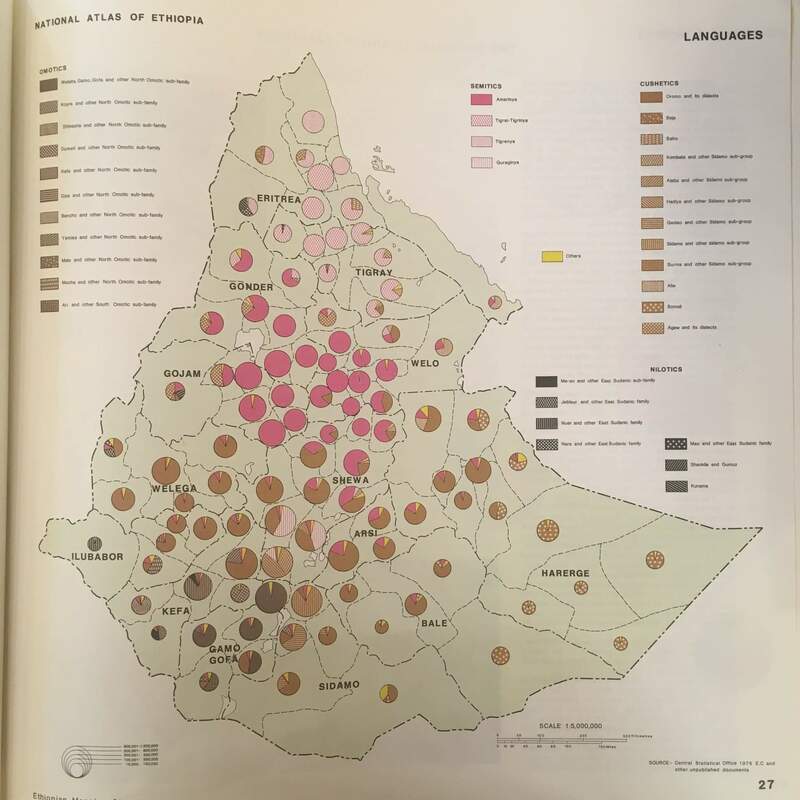 Yes, Raya was administered as part of Wollo and Tigray at different times. I have also heard that the area once was rulled by Italians directly from Asmara. In fact, Berahle & Dalol was administered by Tigrian rullers but this could not prevented these to be incorporated with Afar regional state. *But after the 1991, TPLF annexed part of Raya and joined with Tigray without consulting with the local people nor asking for their choice. The grievances started here and had been aggravated by clear marginalization and maladministration as you put it right. It is very difficult to dispel every subtly confusing argument and seemingly deliberate factual error given in this piece. Nor is it worth the effort. However, with due respect to the author, the proposed solution for the current Rayan problem is simplistic. The author must have known or should have known what the Rayan people have been through at the hands of the TPLF. Keeping aside, the dispossession of land and property, sale of fertilizer at the price that the TPLF agents set and the horrifying maladministration by central Tigray cadres, the author should have known how Rayans have gotten killed execution style in broad daylight at market places for doing nothing wrong. Even worse, loved ones of the dead were not allowed to mourn their loss. Rather, they were forced to stay put until the dead body of their relatives were eaten by hyenas. I am sure the author knows this evil act for he was in high school when all of this inhumane act was going on in Waja and Korem. 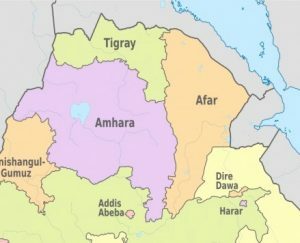 The author asks, “If Rayans want self-rule, why is it only possible when they join the Amhara, but impossible while it is still under the State of Tigray?” The answer is very easy. The Rayan people want their freedom from their historic enemies since the day of Yohannes IV (who murdered 3,700 Rayans in one day at Engoye meda near Chercher). Furthermore, Rayans are culturally more related to Amharas than to Tigrayans. More importantly, the Amhara region is accommodating to different identities and hence preferable. On the contrary, the Tigray government is inherently parochial and fascistic and hence repulsive. Given these facts, the question itself is provocative and frivolous. 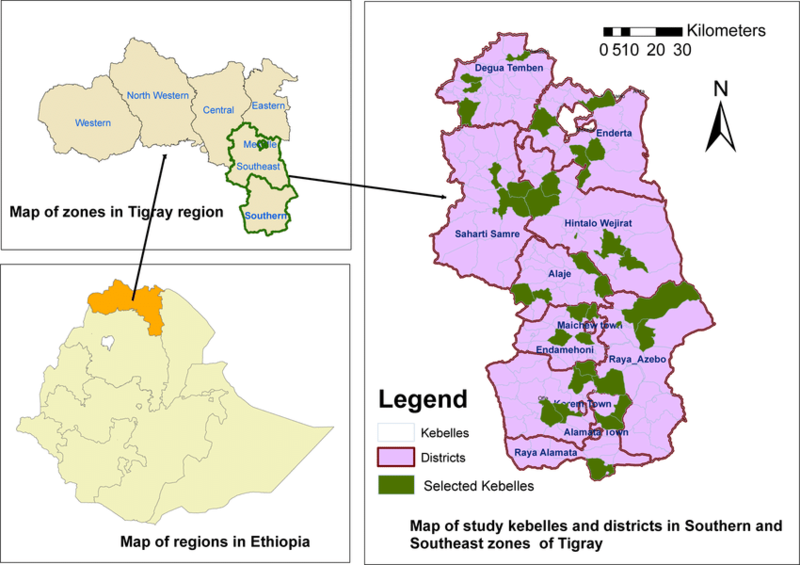 The author said,” And in Raya, Tigray must allow schools in Waja, Timugua, Babo Korma, and Selen Wuha in Amharic. That is the point in having multinational federalism.” I am surprised that the author actually believed this will solve the Rayan problem. The author simplified the issue and lowed it to such a level and proposed such a ridiculous solution. These schools are located in the very small community of Waja area. How did the author fail to understand the cause of the protest in Alamata, Mehoni and Korem to state the least? Who is the author trying to deceive? For God’s sake, why would Rayans in these towns protest unless they have good reason to do so? Does the author believe all of the young people (14 of them) who got killed in Waja, Alamata and Korem got killed for nothing? In conclusion, the author is politically biased and does not seem to have understood the Rayan problem well. His relationship with Getachew Reda might have clouded his perception of the current situation in Raya. However, I appreciate the author for taking the time to write the piece and shine some light to the Rayan issue regardless of his intention or goal. I stopped reading after this. I can imagine what came after it is more intellectual dishonesty and bias fantasies. Before the Italians ever set foot in Africa and before Menilik ascended to power, Tigray Region and Mereb Milash, now Eritrea have never been together except once. Before the Italians, Emperror Yohannes/ Alula went to war with Mereb Milash led by Bahir-Negash (King of Sea). When Alula couldn’t beat Bahir Negash Weldemichael Solomon multiple times in battlefield, he swore on the Bible, in front of Priests telling them to go and tell him that if Woldemichael came for a peace negotiation, no harm will come to him. When Woldemichael arrived from Eritrea to Tigray, he was arrested and put in a house arrested – he died under house arrest. Alula went on to invade and occupy Mereb-Milash. As you can see, history never forgets if it’s preserve wisely. How did Eritreans made sure this history will never be forgotten? By naming the most dangerous and twisted road in Eritrea after Alula/Tigray, the road was named Libi Tigray. It means the heart of Tigray. Eritrea and Tigray didn’t separate because of external forces effort. They were just never one. Blaming it on Italia or Menilik is just, intellectual dishonesty if not a white lie. Just because you “stopped reading” it does make your version of history is accurate. In fact it is self-deception, you are misleading readers. I am not sure what your intention is but you seem either you are from Higdef camp or Menelik camp. Remember that people who write in this site are well read individuals, they know what they are writing however they can make mistakes in that case try to argue your position with evidence if possible with reference. Unproven rhetoric isn’t that helpful. Twisting history for political reasons isn’t the measure of knowledge, it is the measure of weakness. Menelik II coronated (crowned) on November 3, 1889 (https://en.wikipedia.org/wiki/Menelik_II), Note: check the coronation date. If you carefully look the timeline above, Menelik signed Wuchale Treaty before he was crowned as King of Kings of Ethiopia, he was King of Shewa but not King of Kings of Ethiopia. THIS IS FACT!! Why did he do that? There was no any single of Tigray King or Gondor King or Wollo King or Marab Melash Ras who have done this. Please let’s be honest on the facts of history, I understand that our interpretation could be different but this is exactly what happened. If you observe the battles above most of them are in today’s Eritrea land, thus why would Ethiopian/Tigray general fought in Massawa (Dogali is 20 KM from Massawa). Just speak the truth, don’t talk rhetoric, speak facts only. Remember that because I said “Higdef camp or Menelik camp” don’t waste your response there, try to write a response supported with evidence. Rhetoric isn’t helpful. History can judge all of us but to be honest and rational is a value that we have to have for the sake of the next generation. Are you saying that the two Tigringna speaking people residing north and south of Mereb River are not same people? 1. Haile Selassie regime: To make long history short, in 1952, the UN decided to federate Eritrea to Ethiopia, hoping to reconcile Ethiopian claims of sovereignty and Eritrean aspirations for independence. About few years later, Ethiopian Emperor Haile Selassie dissolved the federation and annexed Eritrea, triggering a thirty-year armed struggle in Eritrea. They fought and won their independence. 2. Derg Regime: Continued the oppression and repression started by Haile Selassie. 3. 57 years of colonization created a mentality of independent nation, specially the oppression by Selassie regime and Derg regime has contributed a lot. 4. 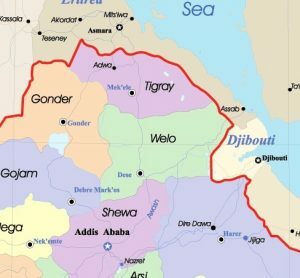 TPLF elites and PFDJ (Higdef) elites: The 1998 war has created so many divisions specially between both sides of the Tigrigna speaking people. Regardless who started it or why it started (I am not saying it is not important), however war shouldn’t have been an option at all, there was many options to avoid the war. Thanks Kaleb, I know the history. But I was wondering if Sami would say they are different people.